The Cougars loaded up the vans Thursday, Nov. 15, and hit the road to Ukiah, California to participate in the Mendocino College Tournament that took place Nov. 15-17. Lassen opened up with a very big Sacramento City College team. The Cougars controlled the tempo in the first half and despite shooting poorly, went into halftime with a 44-35 lead. In the second half the Cougars were unable to keep the fast tempo as Sacramento City College slowed things down and took advantage of their size. The game was a back and forth affair to the final buzzer but Lassen fell short 82-78. Sophomores Tarren Storey-Way and Drew Rippingham led the Cougars in scoring with 21 and 16 points respectively. Things didn’t get any easier for Lassen on the second day of the tournament. Not only did they have to take on a much improved Cerro Coso team, but they had to take on the challenge without sophomore Theo Howard who was ruled out for the rest of the tournament with an injury. Jordan Makenga came down with an injury and was then ruled out for the rest of the tournament. The Cougars did not let the loss of two key players get them down as they were able to go into the half up 43-35. Cerro Coso made a late run at the end of the game but Rippingham ended their hopes with a three point dagger with 20 seconds left in the game. Storey-Way led all scorers with 28 points and Rippingham had 23 points. 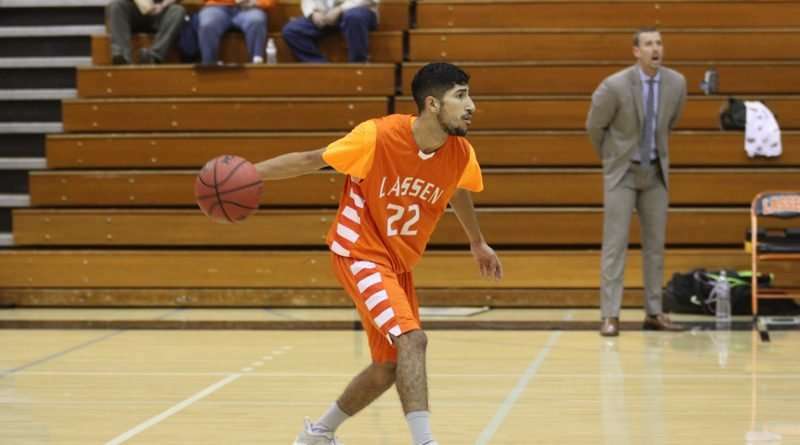 Lassen limped into the final day of the tournament facing Cosumnes River College. The Cougars had another strong first half, leading by 10 points at halftime, but things took another bad turn in the second half. As the second half went on, Cosumnes was able to slowly control the pace and cut into the lead. With around four minutes remaining, again, the Cougars were hit with yet another injury, this time Storey-Way, who was unable to return to the game. 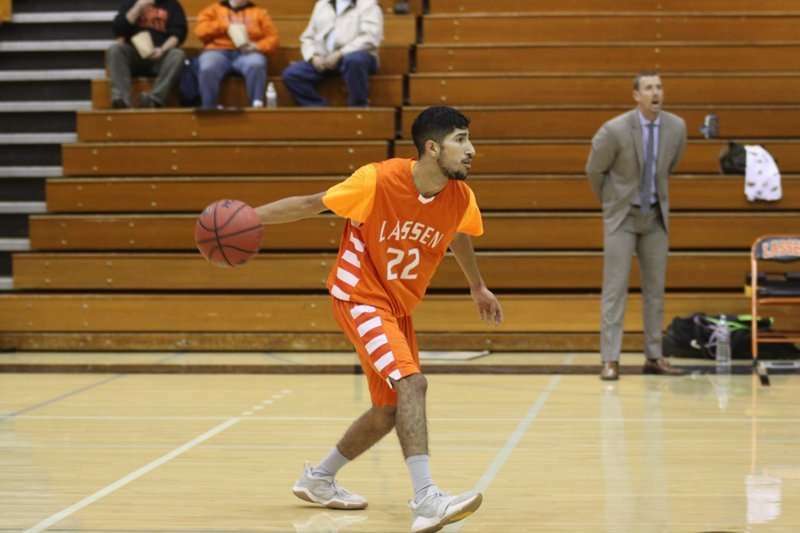 Lassen was unable to turn things around and Cosumnes was able to take the game 79-73. “This was a really important weekend for us because I believe we learned a lot about not only ourselves but what it takes to win consistently. Despite all of the physical adversity we went through it was our mental game that let us down,” said head coach Will Freedman. On Tuesday, Nov. 20, the Cougars hosted the challenging College of Marin basketball team. Things started in Marin’s favor as they were able to keep the game to a slow pace while taking advantage of their size. The Cougars trailed by as many as 10 points before they were able to make a run. Sparked by freshman Alberto Ortega’s speed and sophomore Theo Howard’s aggressiveness, the Cougars were able to seize the tempo and the lead while heading into halftime, 44-37. Marin came out in the second half determined to slow the game down once again. They were able to keep things close for the first eight minutes until Lassen was finally able to turn the game into a track meet and blow the game open. The Cougars led by as many as 18 points and capped off the impressive performance with a spectacular play made by the two standout players of the game. With three minutes remaining, Ortega was able to push the ball in transition and throw a perfect lob pass to Howard who emphatically slammed the ball home and brought the crowd to its feet. When the final horn sounded the Cougars were on top 89-75. Howard led all scorers with 40 points, the most a Cougar has scored in over six seasons, followed by Ortega who added 18 of his own. “This was a great team win for us. We have been shorthanded during this late stretch in November and it was great to see how the group came together and stepped up when it mattered. Marin is a good team and for us to come out and play the way we did says a lot about the potential for this group,” said coach Freedman. The Cougars, now standing at 6-2, have a well-earned rest before they suit up again and take on West Hills College from Coalinga and state ranked Colombia College on Nov. 30 and Dec. 1.